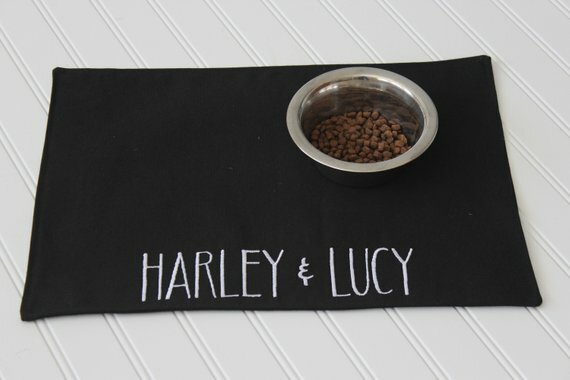 Cute and stylish pet food mats ! 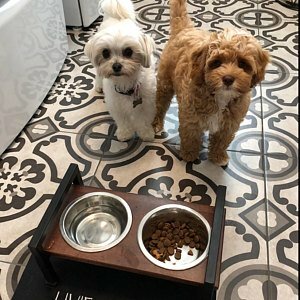 Practical and useful for all pet owners! 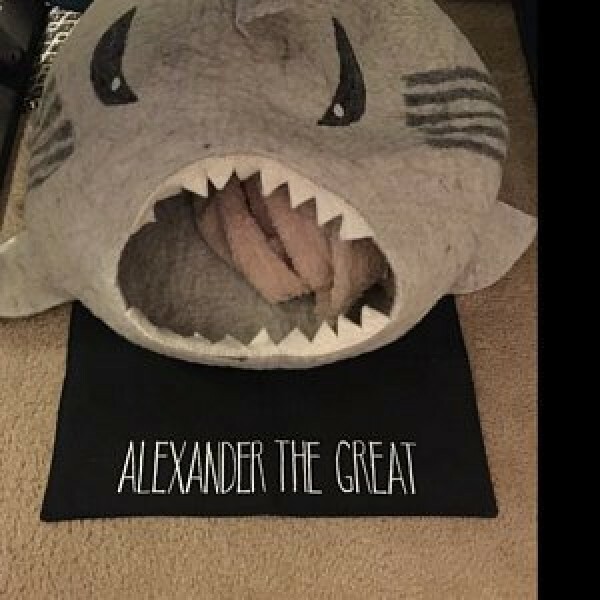 They make great house warming or holiday gift for the pets of your friends and family! NEW! 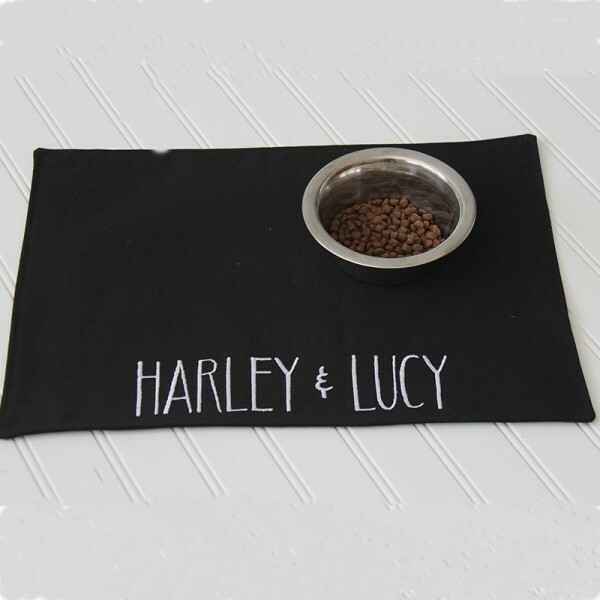 Personalization is also available - choose from menu to add pet name to top of mat. * S: 14.5" x 10.5"
* L: 23" x 14.5"
It is so cute! Love it! Item was shipped promptly. Owner was very responsive regarding my order. 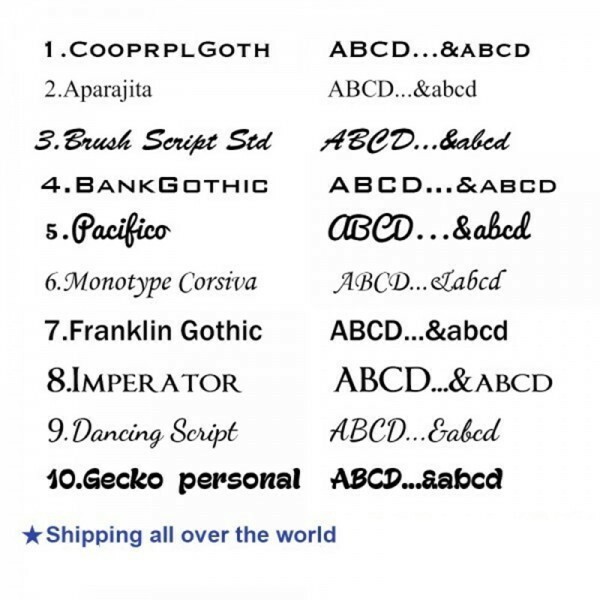 I received one mat that was spelled incorrectly, seller was quick to respond, remake, and send out the correct mat! Thank you! Question about Personalized Pet Mat is Successfully Submitted.